When it comes to offering online courses certified by Quality Matters, The University of Toledo is one of the top schools in the country. With 32 courses certified this year, UT offers 85 Quality Matters-certified classes. That ranks the University 15th in the nation when it comes to offering Quality Matters-certified courses. Earlier this year, the School of Exercise and Rehabilitation Sciences in the College of Health and Human Services was the first at UT to have an online degree program with all required courses certified by Quality Matters for a master of arts degree in recreation administration. 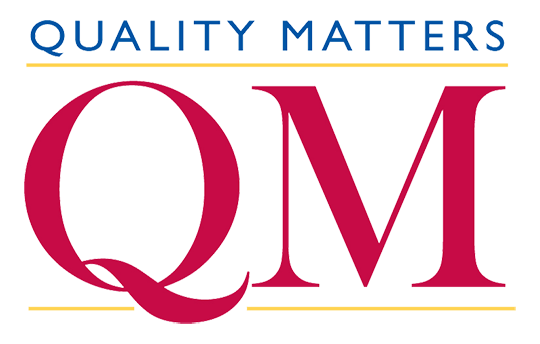 Quality Matters is a nonprofit organization that provides standards for courses and program review to support quality assurance goals. A recognized leader in quality assurance for online education, its mission is to promote and improve the quality of online education and student learning nationally and internationally through the development of current, research-supported and practice-based quality standards and appropriate evaluation tools and procedures. The organization also provides recognition of expertise in online education quality assurance and evaluation along with professional development in the use of rubrics, tools and practices to improve online education. Official Quality Matters course reviews coordinated through UT Online are conducted by a team of certified peer reviewers who actively teach online and have been trained and certified by the organization. The review process centers around the application of the Quality Matters Higher Education Rubric. The 42 standards outlined in the rubric were developed and are periodically revised based on research and established standards in the fields of instructional design and online learning. Any UT instructor interested in learning more about the official Quality Matters course review process are encouraged to visit UT’s Does Quality Matter? This entry was posted on Friday, December 7th, 2018 at 3:57 am and is filed under Health and Human Services, News, UToday, — Judith Herb College of Education .